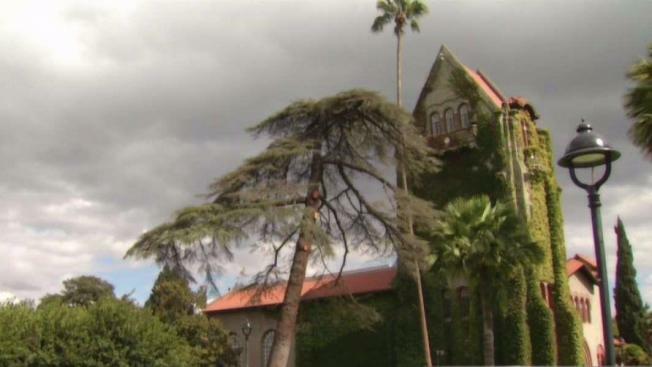 A tense situation involving a San Jose State University professor accused of sexual harassment may soon get more heated. Students have been dropping classes to protest the return of counseling education professor Lewis Aptekar, who the university says harassed at least one of his students by inquiring if she was single and interested in dating him. NBC Bay Area obtained a message between school officials, a document that shows what the college did not want revealed about the first sexual harassment allegations in 2014, which came to light only after a 2015 incident got Aptekar suspended. The redacted document, which was released publicly, addressed sexual harassment claims. The unredacted version, however, includes offensive ethnic overtones: A woman recounting being called Aptekar’s “Arabian Princess.” He also asked her “not to blow up any buildings while she was here," according to the document. "I'm not aware of any attention they gave to these allegations with him, and frankly they generally have not been very good at addressing these things,” said Jason Laker, a professor of counseling education. The Counseling Education department at SJSU has been in turmoil since Aptekar was reinstated and then pulled from the classroom. And many students remain upset that he is still on the university’s staff. Valerie Lamb expressed disappointment and said, “We don't know what's happening in spring 2018 and if he's going to come back." Meanwhile, a group called Students Against Sexual Harassment has formed on campus with the goal of getting Aptekar fired. Neither the university nor Aptekar have not returned messages seeking comment.